Making sustainability easy McMaster University needs to make changes as an institution to reduce their disposable waste, rather than putting the onus on students. On Feb. 27, the McMaster Students Union promoted its three-day education campaign “Compost at Mac” which highlighted several composting bins around campus. The campaign encouraged students to locate areas within the university where compost bins should be placed. This was done in efforts to reduce the waste produced by students and also to promote composting. Another table that I came across in the McMaster University Students Centre asked students to make pledges to limit their use of disposable items. I pledged to limit my use of plastic cutlery, but how feasible is that really? As a student, making sustainable choices is difficult when there are plastic straws and cutlery distributed all over campus. It is hard to make the environmentally-conscious choice when those items are so easily accessible. It is easy for the MSU to put up boards encouraging students to help combat climate change, but would it not make more sense for McMaster Hospitality Services to abolish the use of plastic cutlery and disposable items altogether? This would probably help reduce the carbon footprint of the entire university. This may seem like a drastic change, but the ease lies in switching to more environmentally-friendly and sustainable options like steel cutlery and straws. Reusable mesh grocery bags should be also sold on campus to make it easier for students to adopt sustainable habits. 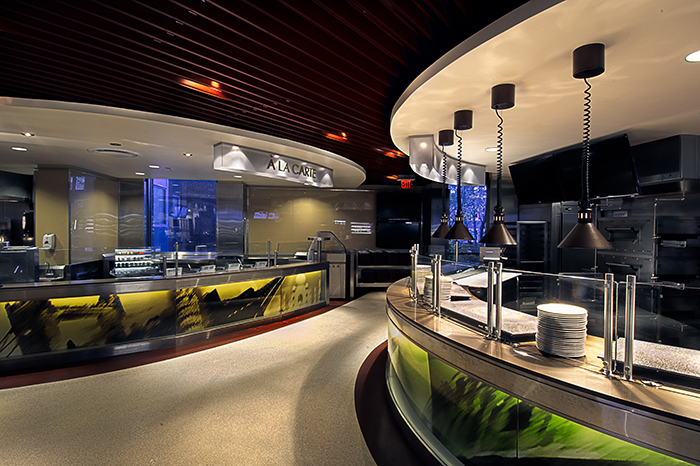 In making these changes, the MUSC eating area could be also revamped into a proper food court with steel cutlery and plates given out in La Piazza. Students can then return to these items to workers stationed at the food court. A system like this is already implemented at plenty of malls with food courts and helps to reduce waste due to the availability of reusable cutlery. The cost may seem a little high, but it is not higher than the one we will have to pay due to the effects of climate change. This initiative can start during Welcome Week with new students introduced to the green changes. Speaking from a student’s point of view, these changes would make things easier for us and also be more beneficial for the Earth. An institution equipped with the funding makes a bigger difference than opposed to individual students struggling to find sustainable alternatives. The MSU has done a lot of things that students didn’t vote for, such as starting the composting initiative. They encourage us to follow along as it is a change for the better, but they must at least make it easier for students to adopt.